The Enchanted Cottage is based on a stage production of the same name, which was also made into a successful silent film in the 1920s. Originally written to provide encouragement to disfigured soldiers returning from combat in World War I, this 1945 adaptation is updated to feature a World War II veteran who has been mentally and physically scarred. 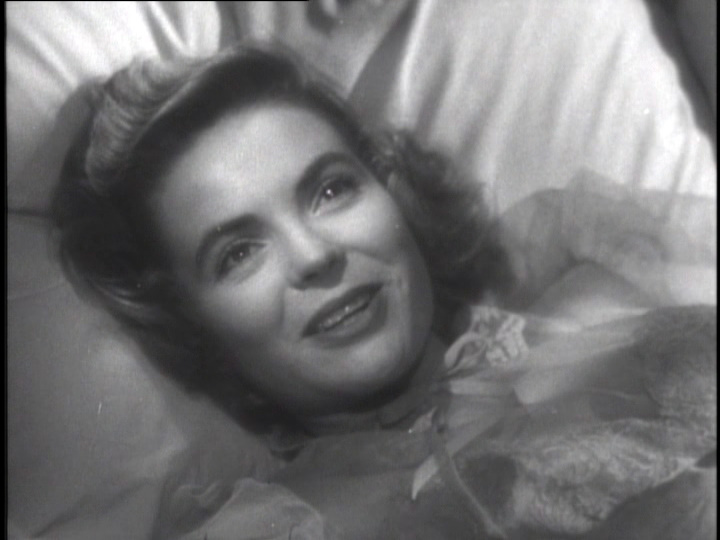 Dorothy McGuire stars as Laura Pennington, a plain and homely maid who goes to work at Mrs. Minnett’s (Mildred Natwick) cottage. 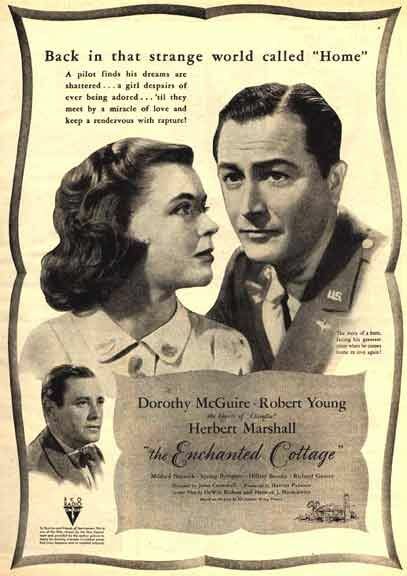 On Laura’s first day of work at the cottage, a couple – the future Mr. and Mrs. Oliver Bradford (Robert Young) – comes in to book their upcoming honeymoon stay. But the wedding has to be called off when Oliver is summoned to the war. And when he comes back from the war with a scarred face and injured arm, the wedding is called off for good. Depressed and not quite sure what to do with himself, Oliver books an extended solo stay at the cottage where he originally planned to spend his honeymoon. Here he befriends John Hillgrove (Herbert Marshall), the blind composer who lives next door, as well as the kind and understanding Laura. He and Laura decide to marry out of loneliness, but soon after their wedding, the cottage works its magic and they begin to truly fall in love. While it’s a bit slow to start, the film picks up very nicely and keeps a fairly consistent pace – not too fast, but perfect for a romantic film. There are many shifts in mood to accompany this pacing – from dramatic to heartbreaking to sweet and sentimental – which keep the viewer interested even if things seem a bit slow-going. The story itself is one that every viewer can relate to. While we may not be permanently disfigured by combat, everyone has some feature that makes them self-conscious. This makes the two main characters, who are terribly ugly in the physical sense by society’s standards, very easy to feel sympathy for. The film is packed with positive messages, so the storyline doesn’t end up being much of a downer, though it’s clear that the two leads will never meet society’s high standards. The film purports the ideas of self-acceptance and being happy despite your so-called flaws. Laura and Oliver see the inner beauty in each other and it makes them fall in love, which really comes out through the interesting use of makeup. When the two leads interact, they are dolled up and beautiful. His scars are gone, and she looks more polished. They look physically beautiful to each other, because they have recognized each other’s great qualities. But when interacting with others, the return to their “homely” looks, exaggerating the message that even though society may not accept you for who you are, you can still find happiness and still be a beautiful person. It’s a shame that the stars of this film are not very well-remembered, leading the film itself to often be forgotten in the discussion of the studio era’s best romantic films. The cast pulls every emotion off very well, and the film deserves to be remembered. 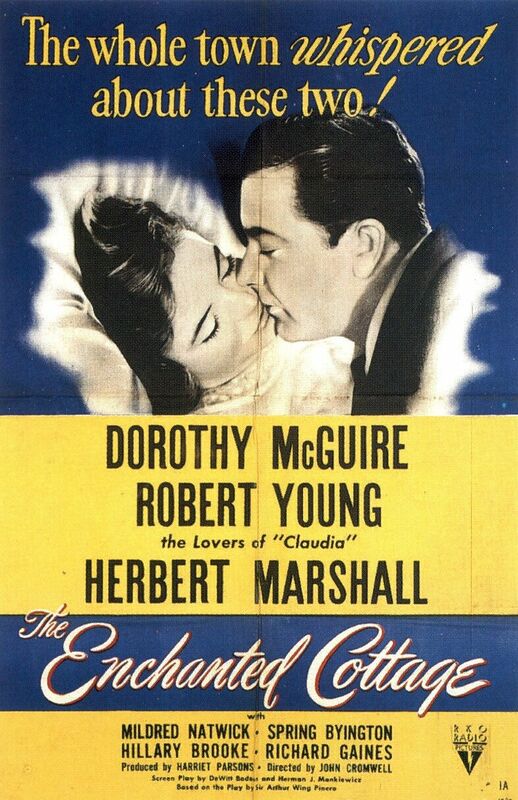 Herbert Marshall is particularly heart-warming in his stellar but understated performance as the blind composer, a man who can recognize true beauty in people. I love this movie, and it’s a shame that it is often forgotten. Thanks for a lovely post about this special movie.